Reverend Billy Graham, who reportedly transformed American religious life through his preaching and activism, becoming a counselor to presidents and the most widely heard Christian evangelist in history, has died at the age of 99. 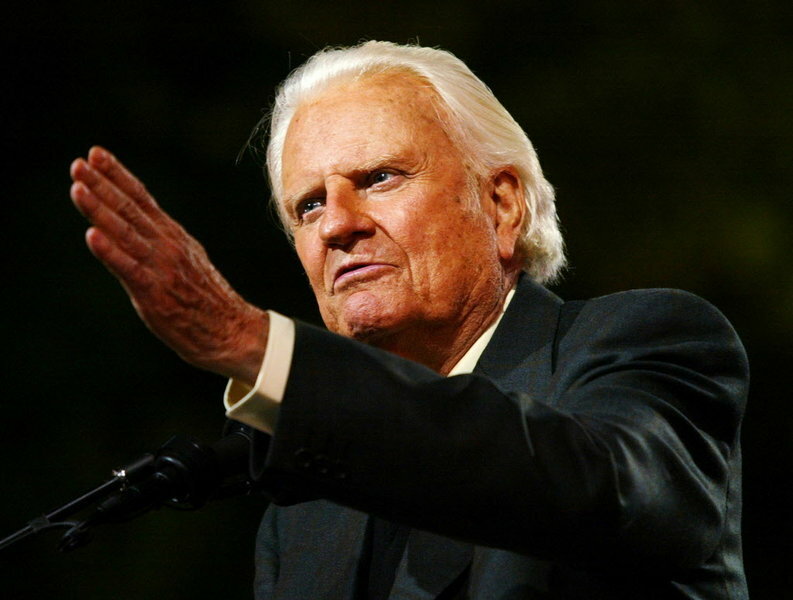 News reports that Graham preached at what he called his “Final Crusade” in the summer of 2005. “Deep inside we need something else. And that something else can be brought about by Jesus. The three-day event in New York City was the culmination of a lifetimeof evangelism, seven decades of spreading thegospel to more than 200 million people in 185countries around the world. Raised in the fundamentalist faith of his native North Carolina, Graham dedicated his life to Christ when he was 16 and was ordained aBaptist minister in 1939. He created his own brand of populist evangelism. His “crusades,” as he called them, were soon attracting millions in person andlater through television. Graham once reportedly said:”We are United,and are ready to march under the banner ofAlmighty God, taking as our slogan that which we have on our coins, ‘In God We Trust”. Graham was supporter of black civil rights. He was also reputed to have bailed Martin Luther King Jnr out of jail. Tim Stanley, the widely respected historian and leader writer for Daily Telegraph paid a tribute to Graham on Twitter.